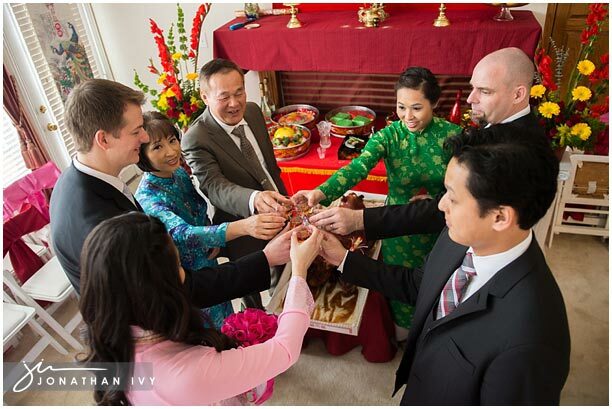 Nancy and Adam introduced us to a first in our photography career, a Vietnamese Tea Ceremony which is the official engagement party uniting the couple as officially engaged. 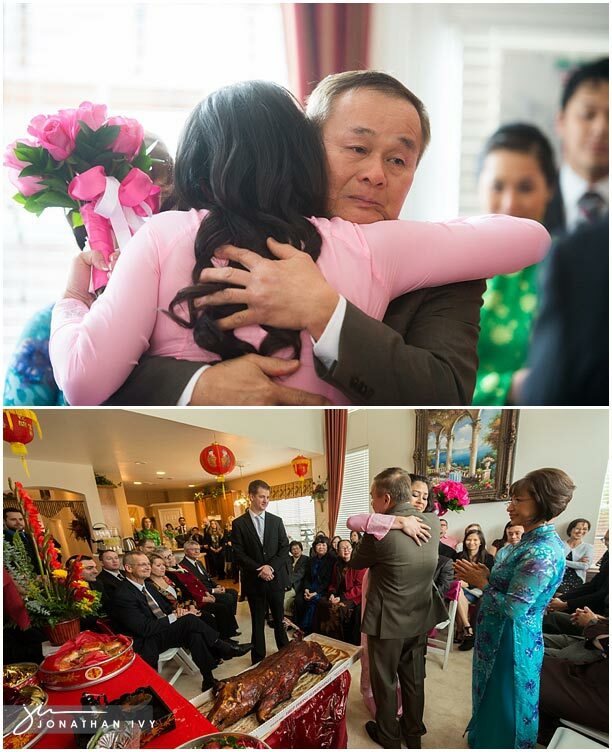 It is one of the most important ceremonies of the Vietnamese culture. 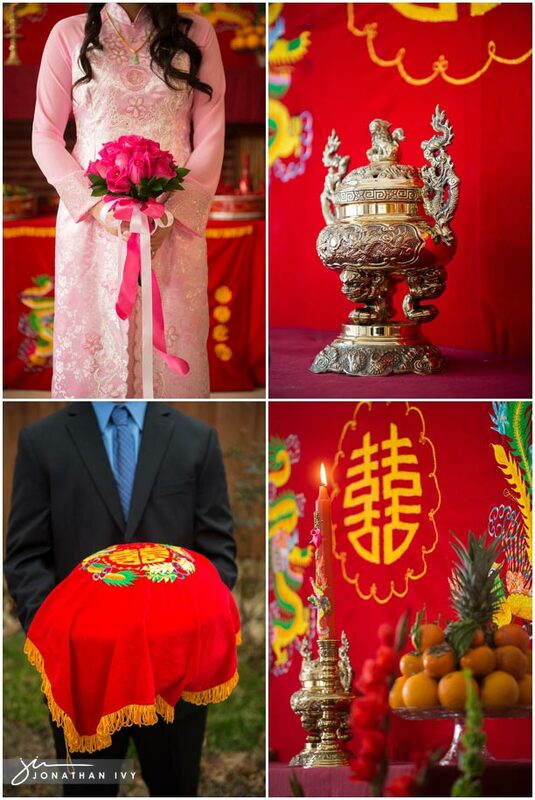 The tradition behind this ceremony use to be where the parents would introduce the couple to each other to be married, hence their engagement becoming official at the ceremony. Today things are a bit different in how each couple meets but the meaning and revernce of the ceremony has not changed. The ceremony is held at the bride’s home and this is where we kick things off. 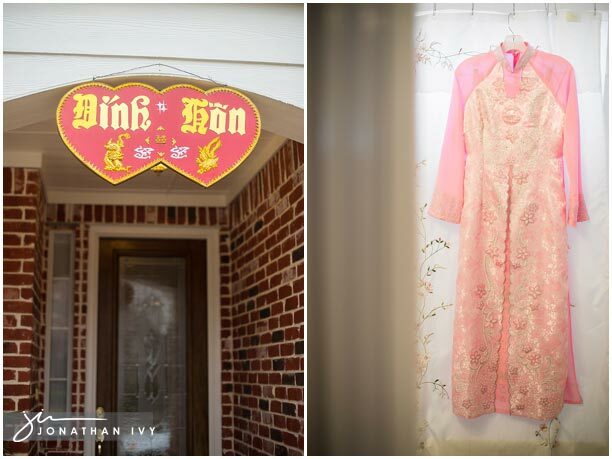 The dress above is the bride’s Áo dài worn in pink. Pink and red are the traditional colors. Isn’t it beautiful! 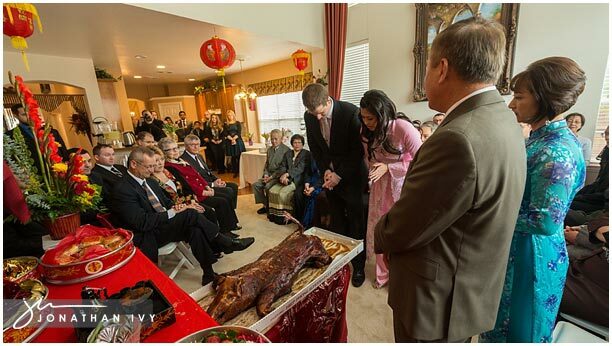 Before the wedding day, the groom’s family would make a trip to the bride’s home with a gift of betel nuts to officially ask permission to receive the bride. At this time, the bride’s family would confirm the wedding and the rest is history. As you can see, these are happy and very fun ceremonies! Thank you Nancy and Adam for inviting us to such a sacred event. 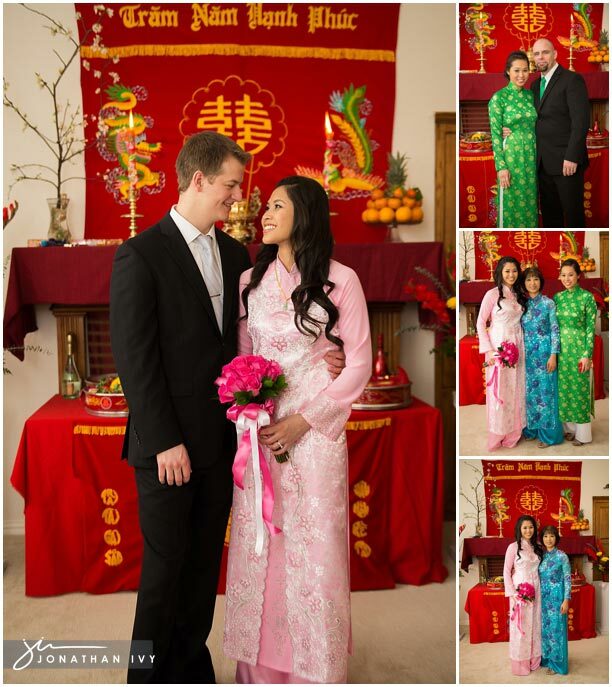 We learned alot and had a wonderful time capturing your tea ceremony!